Novelty Energy once again proves to be useless in the real world! What subsidised wind power can do for your town. Another day, another total wind power output collapse, another statewide blackout. Sure the political spin doctors called it ‘load shedding’, but for the 90,000 families left boiling in the dark, watching their perishables perish the result is precisely the same. The wind cult and its fellow travellers descended into apoplexy, when conventional generators failed to fire up in time to cover the fact that their obsession with these things is a delusion: close to 1,000MW disappeared in the space of a few short hours, forcing the grid manager to send hundreds of thousands of people back to the Dark Ages. 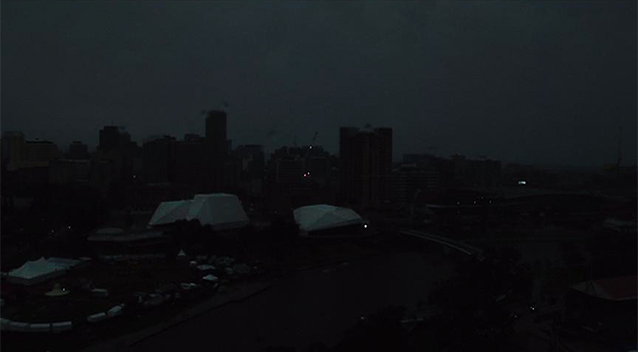 Blackouts caused by wind power output collapses are now such a common feature of South Australian life, the latest suburban must have is a diesel generator.